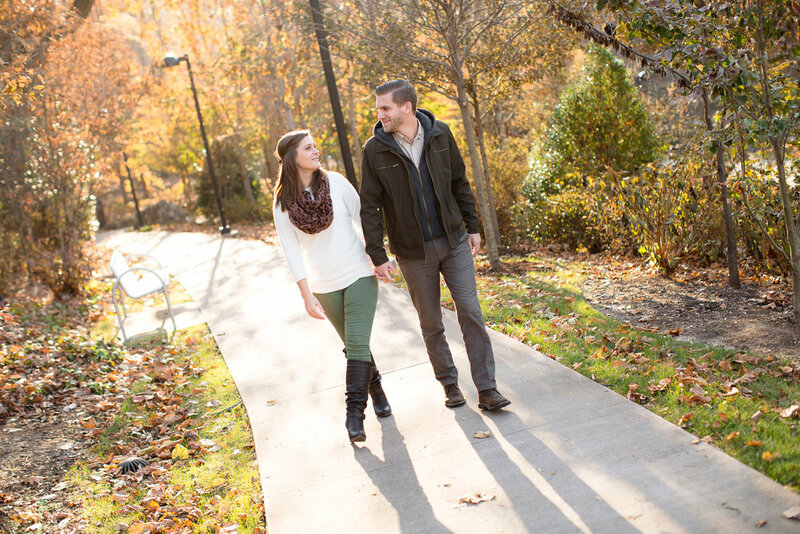 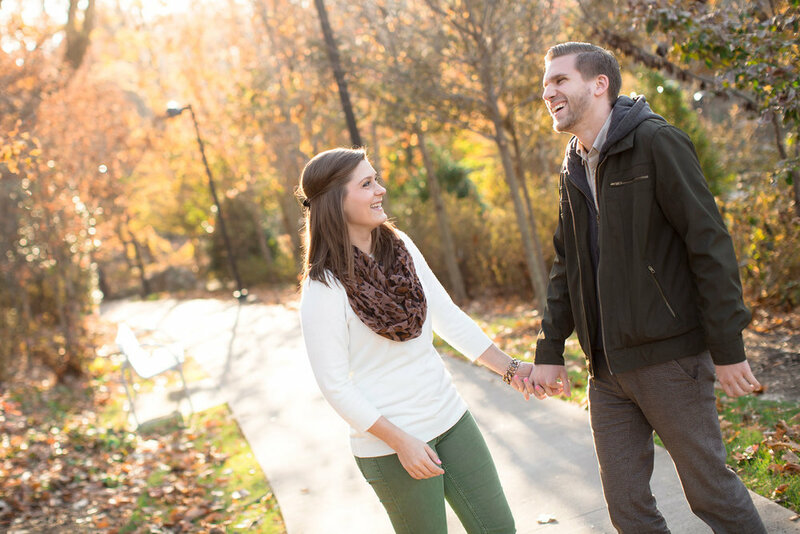 It was a perfect fall day for Emma and Jon's engagement photos! 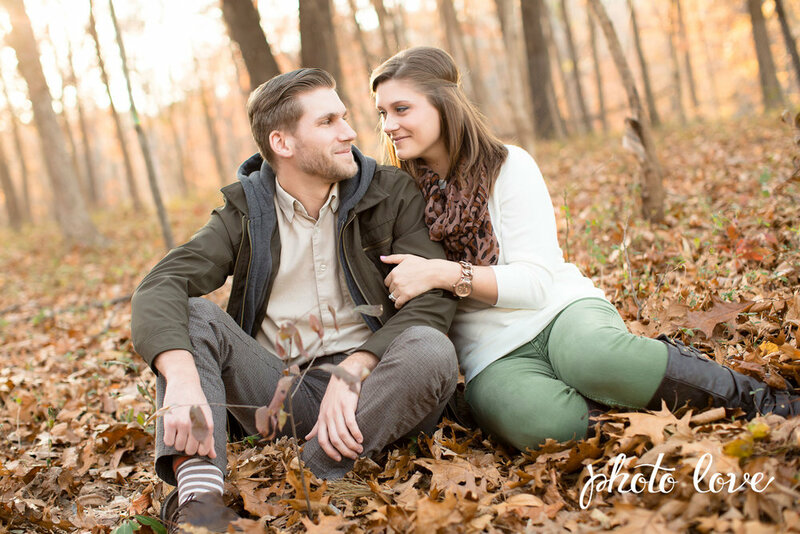 Kaity met up with this sweet couple on the Crystal Bridges trails and later they drove to downtown Bentonville for the remainder of their session. 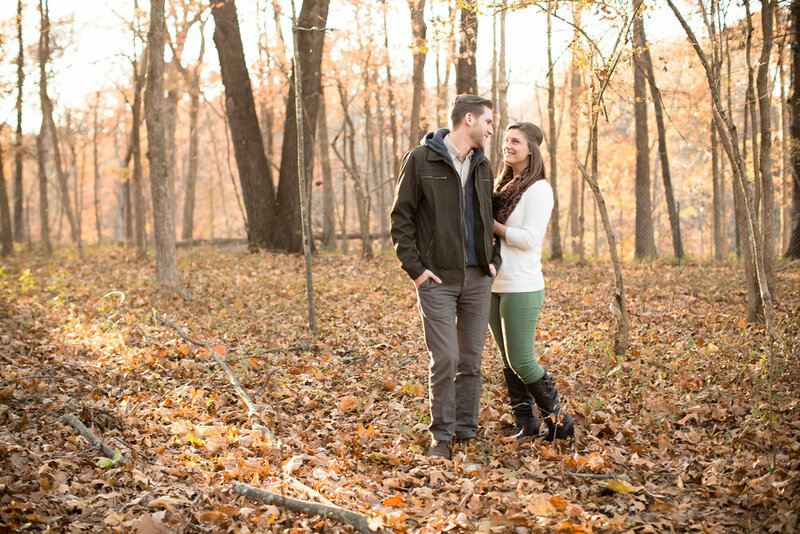 The beautiful fall trees were the perfect backdrop for Emma and Jon's stunning engagement photography! 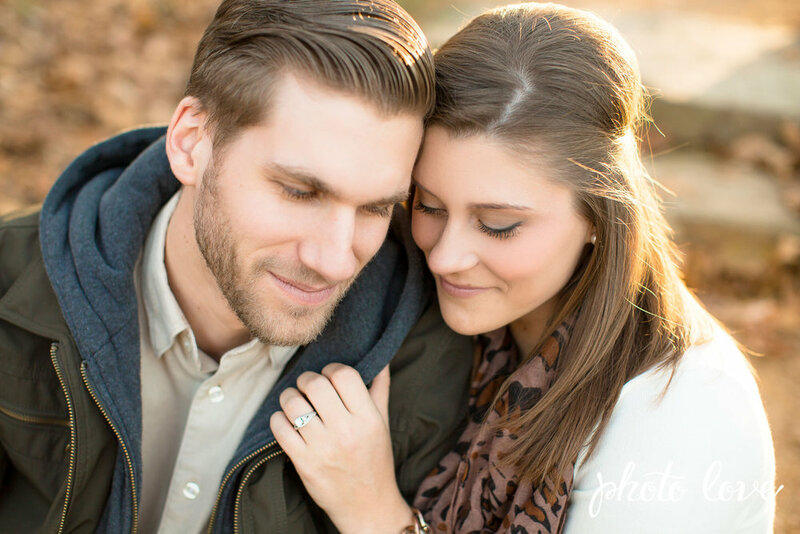 This great couple was so at ease during this session and so in love it was amazing to photograph them! 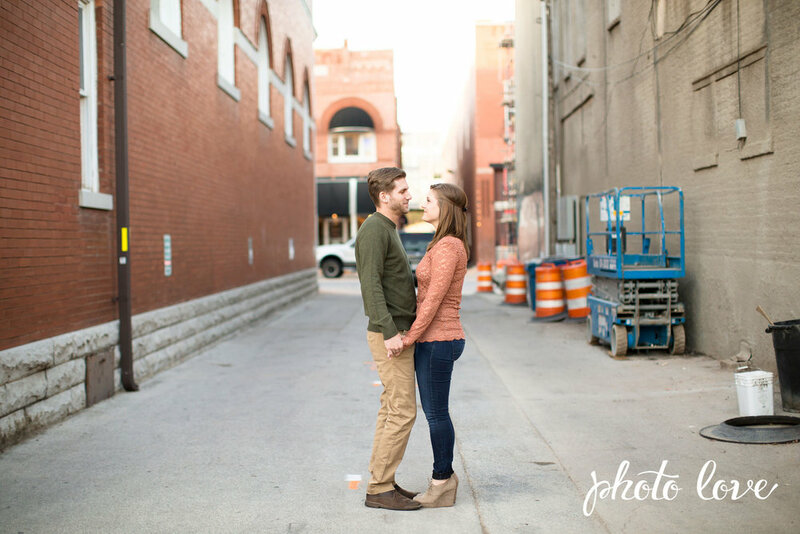 We can't wait to see their love grow!